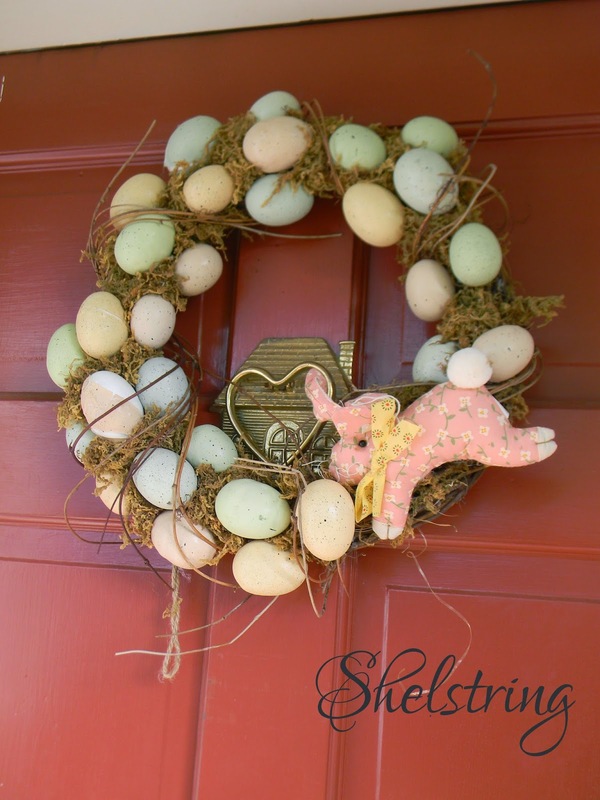 It's finally looking like Easter around here! I fixed our poor wreath. 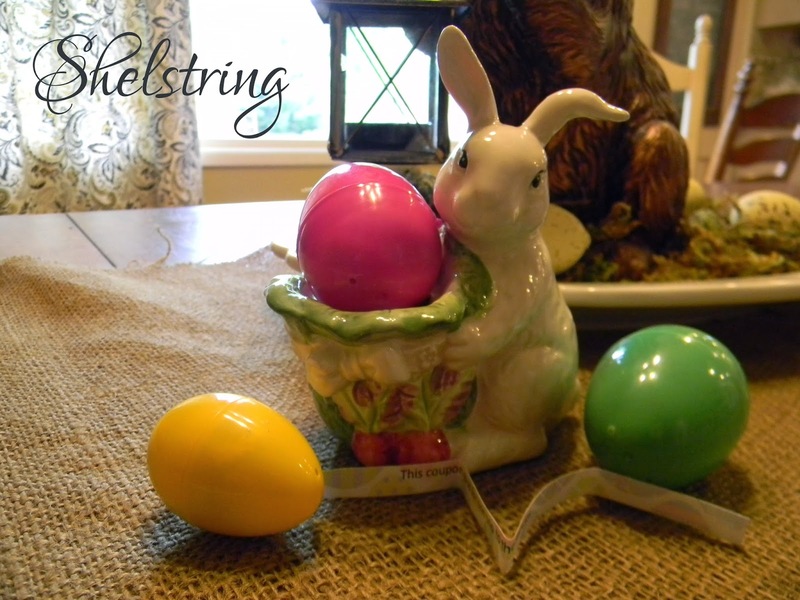 There were so many eggs missing from its apparently stressful storage, so I filled in the space with a bunny I purchased on clearance at JoAnne’s last year. 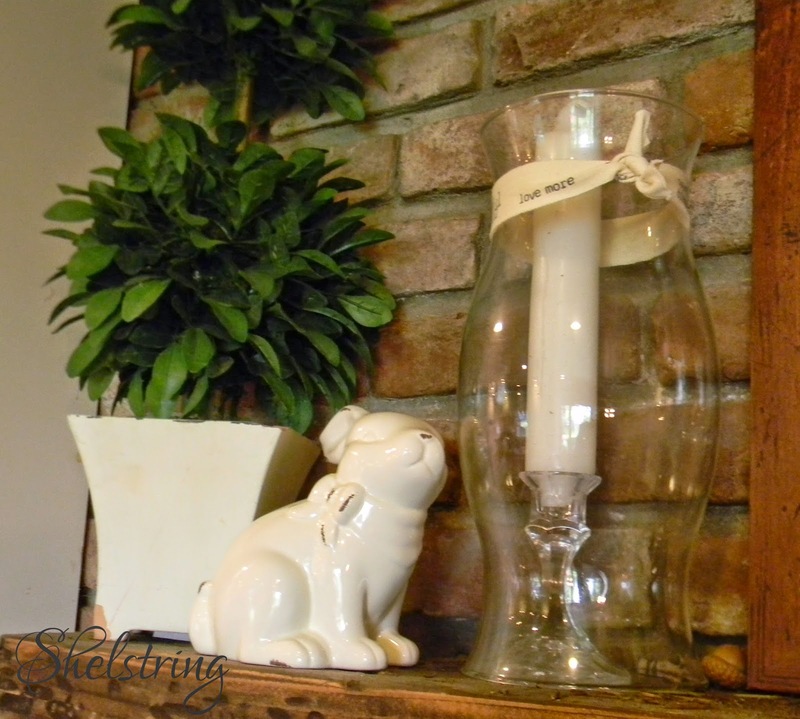 There are little touches throughout the house. We decided we needed a few bunnies this year. The girls picked out this little ceramic one for our kitchen mantel. I think he's sweet. 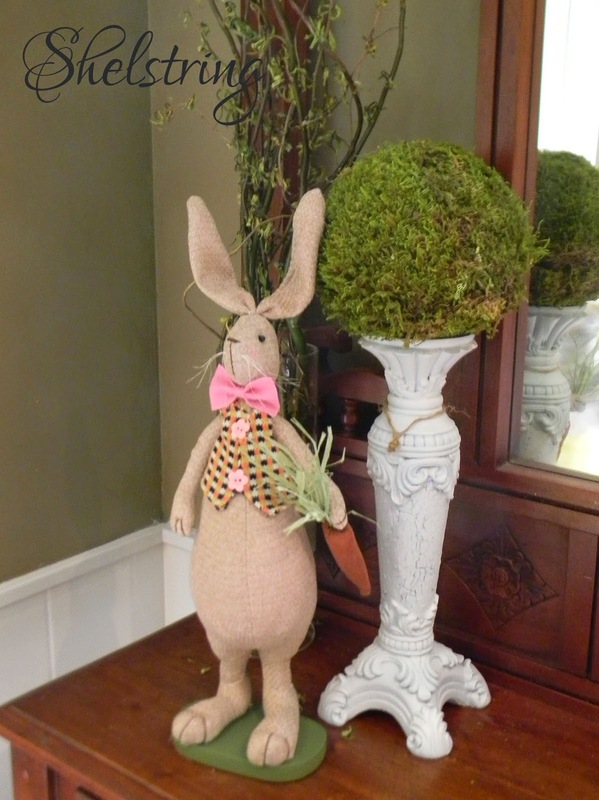 This fun rabbit stands on our entry hall console. 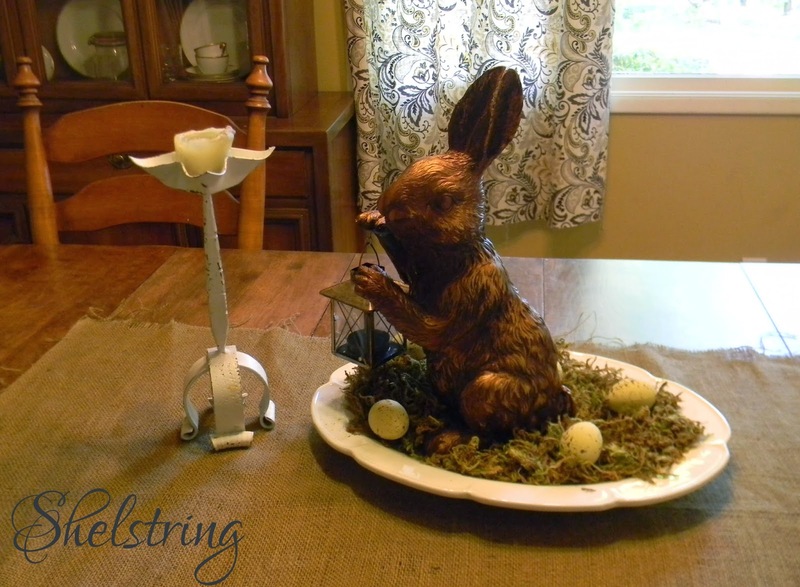 This bunny sits on our kitchen table as a centerpiece. 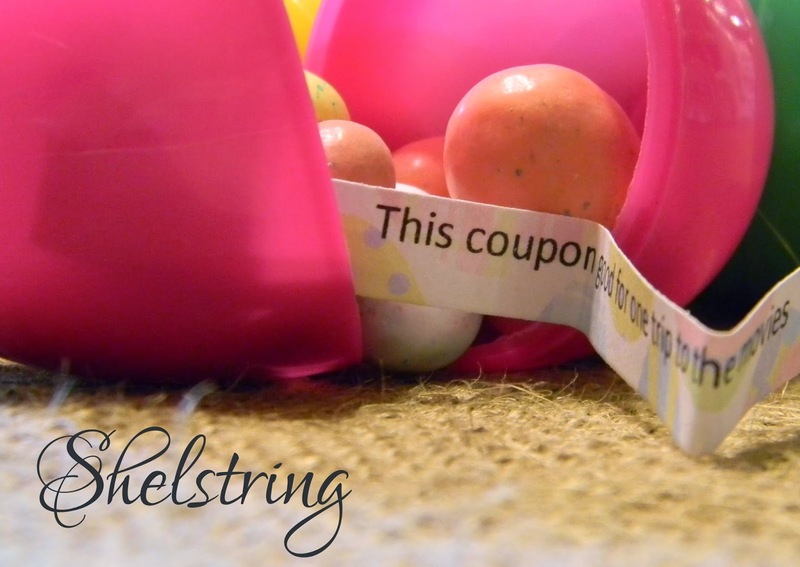 A few years ago my husband and I came up with the idea of coupons of service, time and love for the children's Easter baskets so that we wouldn't get caught up in the commercial side of the holiday. Receiving these coupons has since become a tradition they look forward to. This is how we keep focused on the Savior so that we keep the spirit of the holiday where we want it to be concentrated. Following is a list of the coupons we are offering. 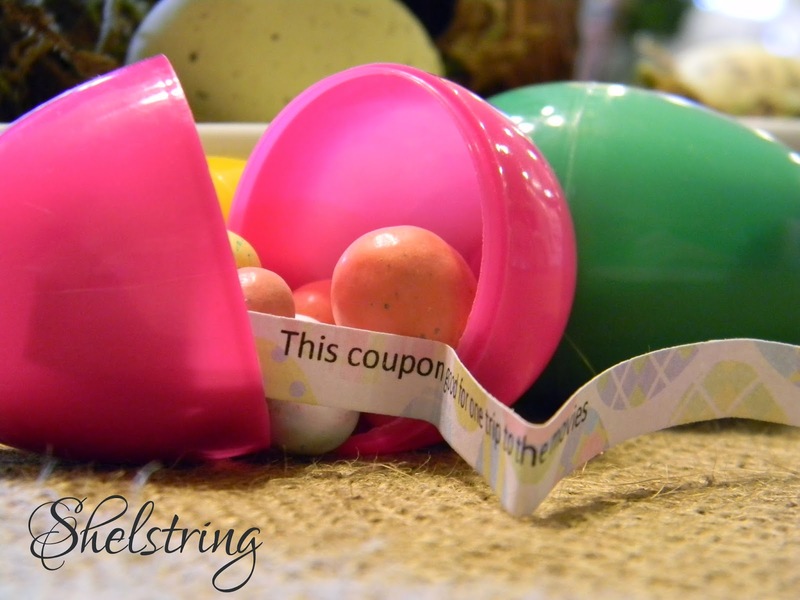 We freshen up and change them each year then print them off on a fun Easter print paper. Hopefully these ideas will inspire you with ideas of your own! I love your bunny collection! They're all so cute. And the coupons are a neat idea!